197 arrests made during Eid-el-Fitr festival in Kwara - FRSC - AutoReportNG "AutoReportNG-The No 1 Car Blog In Nigeria That You Can Trust - AutoReportNG"
The Federal Road Safety Commission (FRSC) in Kwara said on Monday that it arrested and prosecuted 197 motorists for violating traffic rules during the last Eid-el-Fitr celebration. 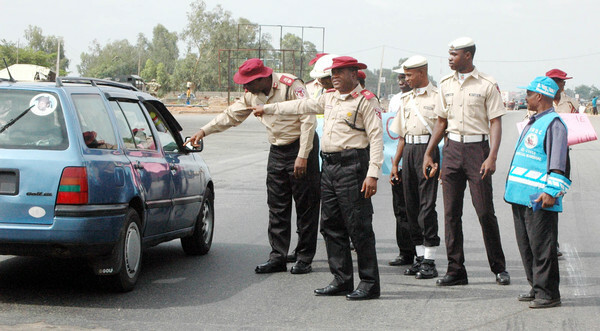 Mr Sunday Maku, the FRSC Sector Commander in the state, told the News Agency of Nigeria (NAN) in Ilorin that the offenders committed a total of 204 traffic offences across the 16 local councils in the state. He said private and commercial vehicle owners were among the offenders. “Some of the offences committed by the motorists were dangerous driving, refusal to use seat belts, over loading, expired vehicle particulars and lack of speed limit device in their vehicles. “The offenders were tried by special mobile courts established at various locations in the state. “The command also recorded four road crashes during the period, with one person dead while 10 were injured,’’ he said. Maku further said that 89 vehicles were impounded during the period for not being road worthy among other offences.